Statue of Dewaruci now been in the renovation. Currently there is an underpass to parse traffic jam. 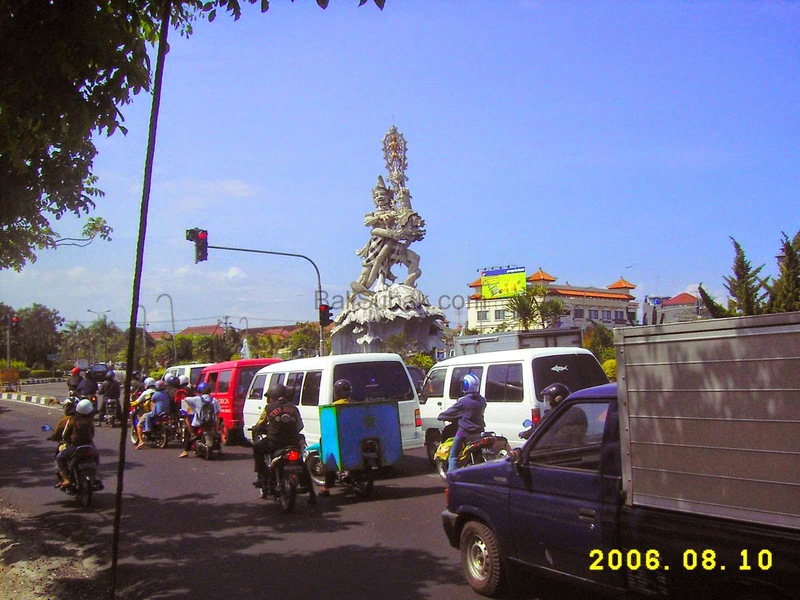 In the past, when the picture was taken, the statue is located between traffic congestion. Crossroads in this statue is the most congested by vehicles. Throughout the day is always crowded by vehicles. Always traffic congestion. But now all been resolved, because it has created an underground road, so there is no congestion, because the intersection lights have been removed. 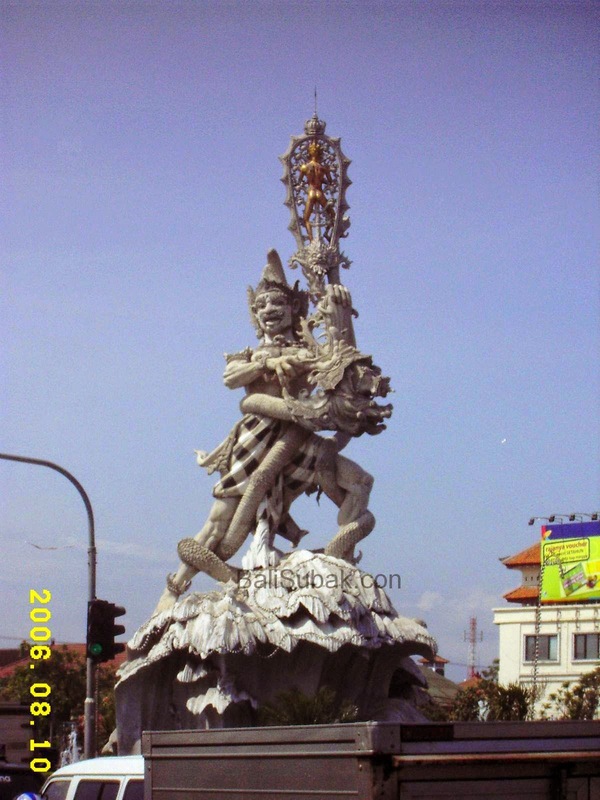 Dewaruci statue located between the airport, Kuta, Nusa Dua, Denpasar, and Badung. So that becomes the focal point meeting vehicles to and from these cities.